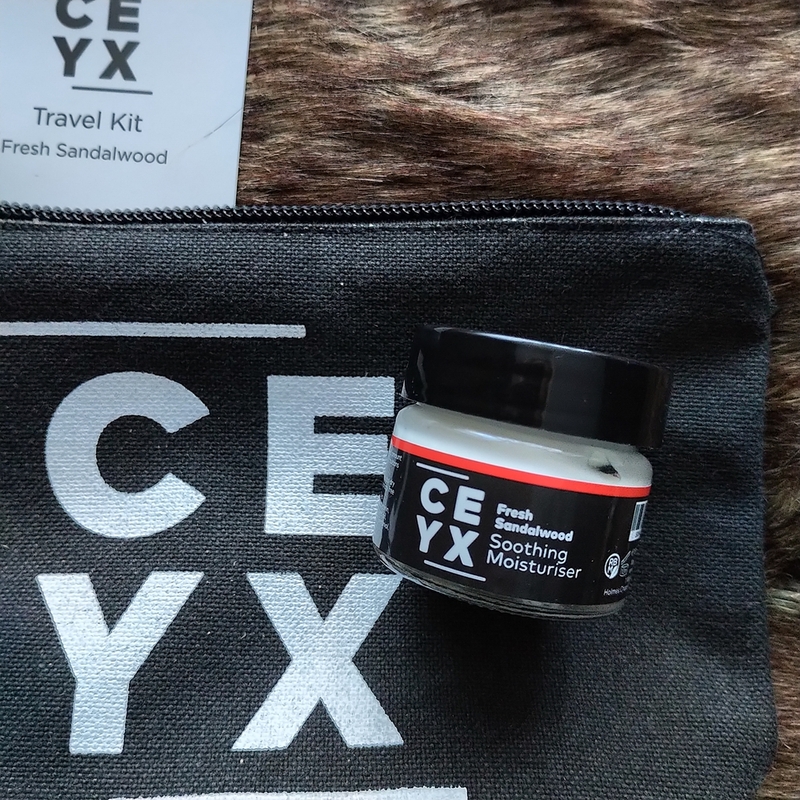 Home / SkinCare / The Mens Grooming Essentials Travel Kit. 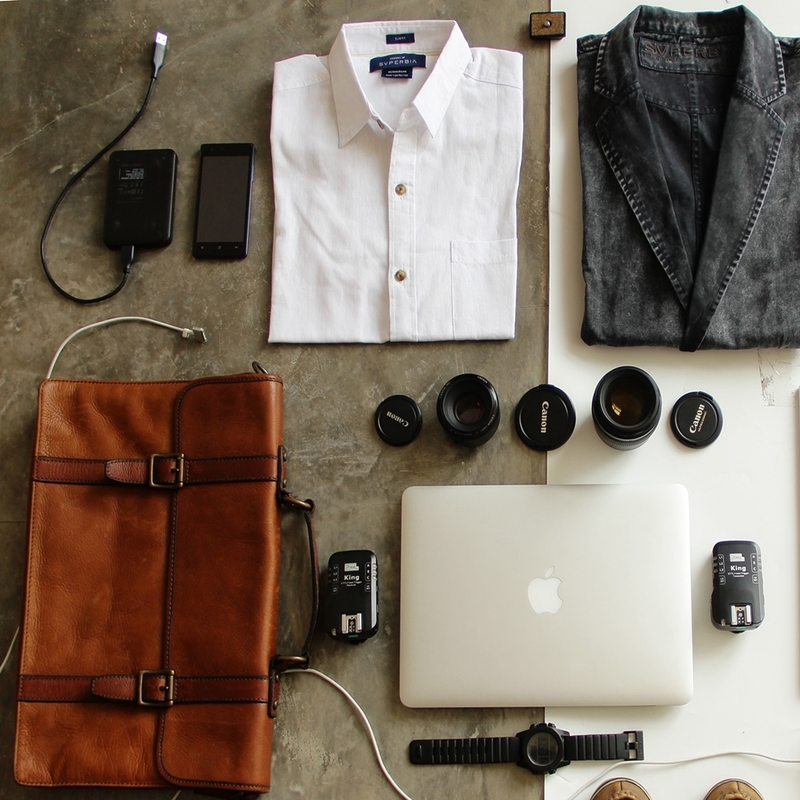 The Mens Grooming Essentials Travel Kit. 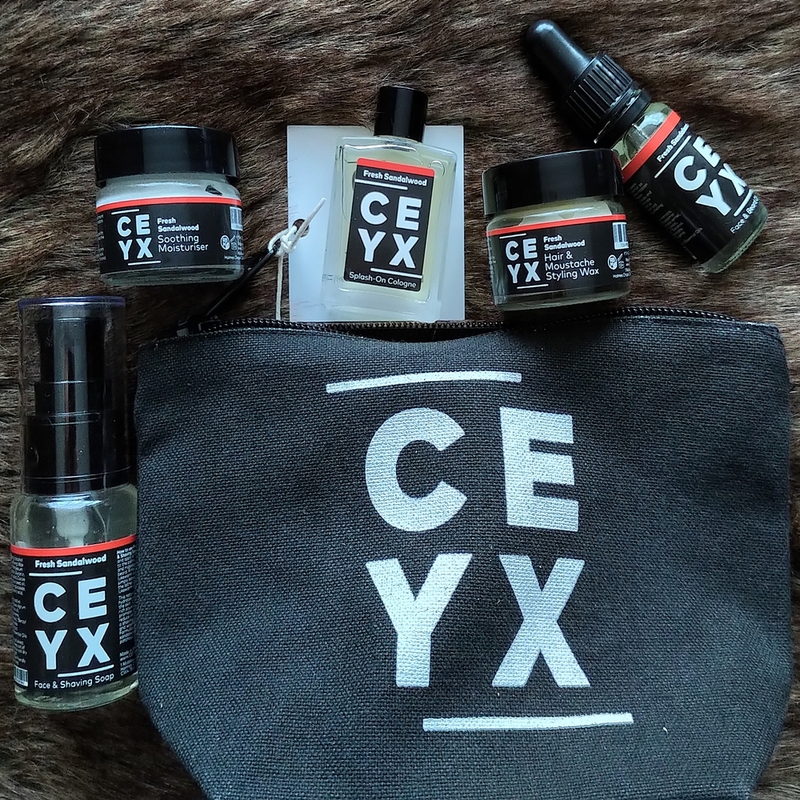 Save space in your luggage, without compromising your grooming regime, when packing the Ceyx travel kit. The must-have grooming kit features key products that fulfil a grooming regime without sacrificing high quality ingredients that your skin care should contain. The sulphate and paraben free range presents itself proudly as being cruelty-free and vegetarian friendly, while also containing fresh scents of sandalwood, petitgrain and patchouli. The organic travel pouch keeps the five products organised to be easily reachable when in use, whilst also keeping them safe when travelling to your destination. Inside u will notice there is more room to add a few of your own personal favourite necessities and the zip function keeps the pouch secure. 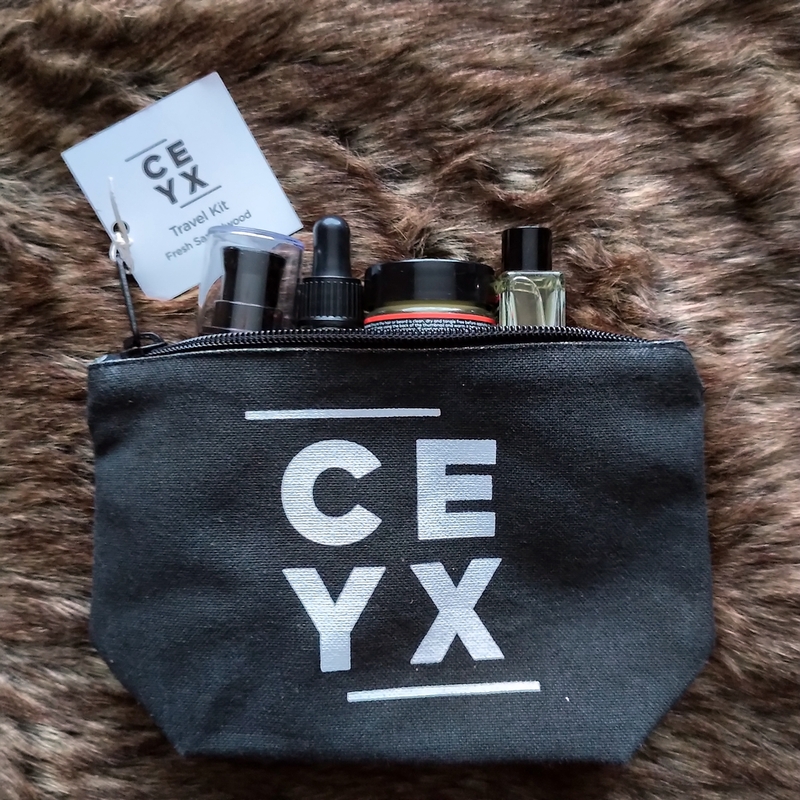 The eye appealing design features the Ceyx logo on the front that will gain inquisitive questions of who the brand are and you can easily wash the travel pouch on a cold wash only. 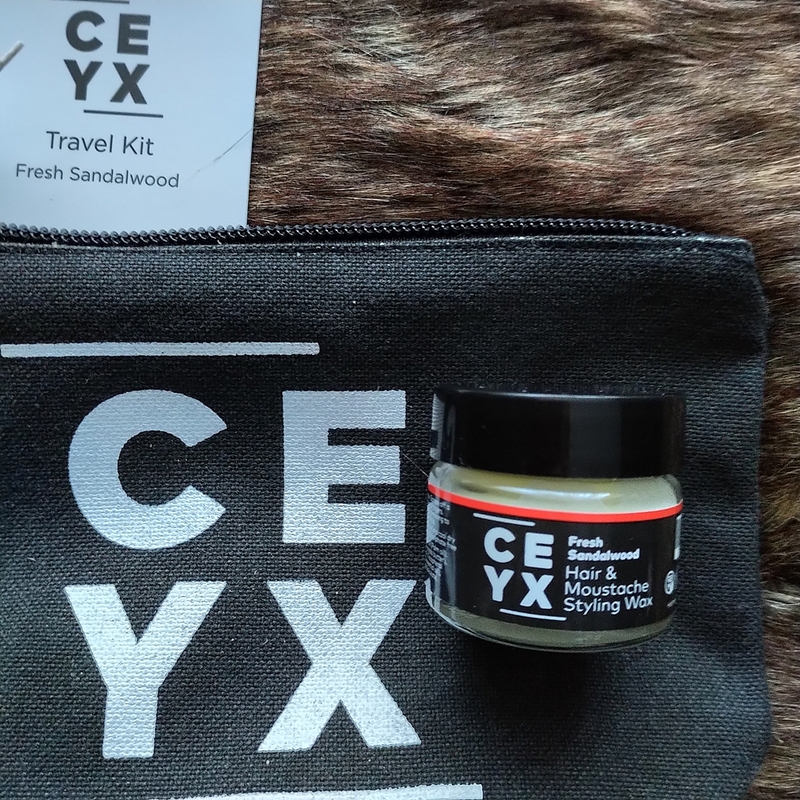 The fresh sandalwood face and shaving soap gently cleanses and hydrates the skin, while exfoliating away dead skin cells for a smoother complexion. Applying a few drops into your hands and gently massaging over wet skin and beard, the wash foams brilliantly. You can rinse off with warm water or leave on to proceed with your shaving routine and enjoy the intoxicating scents of sandalwood, petitgrain and patchouli. The skin feels hydrated and comfortable because of the avocado oil that is a source of vitamin E that reduces inflammation and promotes a more uniformed skin tone. The soothing moisturiser is the perfect product to follow after cleansing and post-shave by restoring hydration and protecting the skin. The non-toxic Allantoin ingredient featured, increases skin smoothness, aids wound healing and can be found in most anti-ageing products. Lavish skin with vitamin E provided from the sunflower and antioxidant protection from the blackcurrant oil in the formulation content. The light-weight moisturiser sinks into the skin easily, without overloading and appearing greasy. The face and beard oil combines balancing apricot, brightening avocado, and regenerating macadamia to deeply condition the skin and beard. Applying over the moisturiser and before your sunscreen, the oil soothes away any irritation and restores balance to any complexion. Warming the oil in the palms of your hands and then running along your beard will help restore hydration and to control any unruly hairs. Clear in colour, the oil absorbs into the skin quickly using massaging movements, leaving a soft and hydrated base without any greasy feeling. The medium hold hair and moustache styling wax is your best friend to keep you looking your best. Take a little of the wax and warm it between your fingers, apply using stroking actions to the hair or beard to your own style satisfaction. Held in place without feeling stiff or crunchy, the wax also washes out easily to be applied again. The moisturising ingredients included such as coconut, sunflower, and peach oil, all improve the hairs health and it can also be applied to unruly eyebrows for a quick grooming fix. The splash-on cologne combines notes of petitgrain and bergamot with sophisticated sandalwood and patchouli. The masculine scent embodies a mysterious persona that fits into any occasion when worn giving u a confidence and uniqueness in any scene of life. 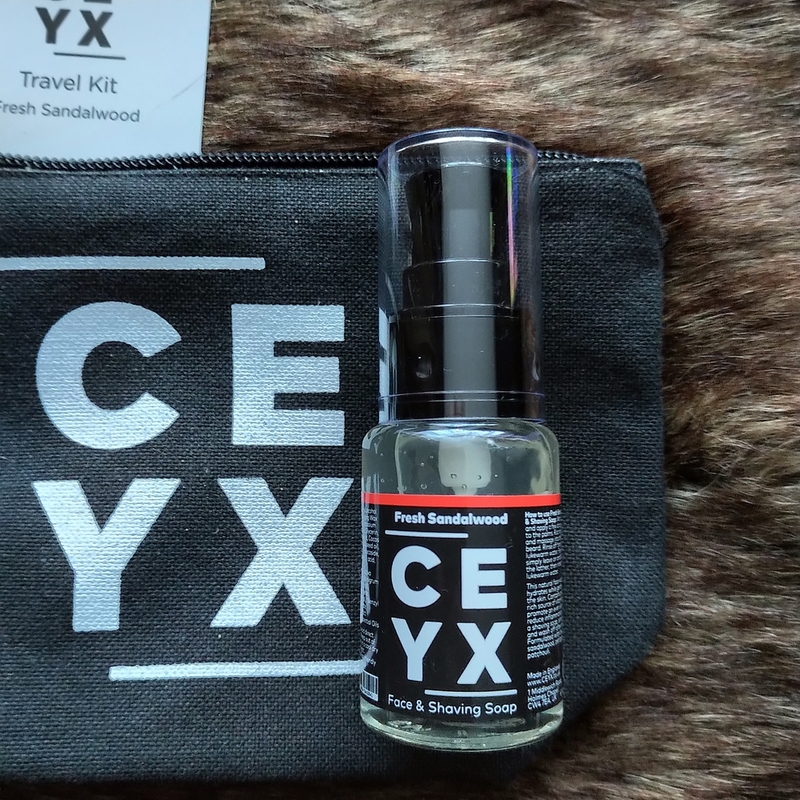 Appealing to any age range and suiting all styles, it can be worn on its own or used with other scents to give off a low level fragrance throughout the day. 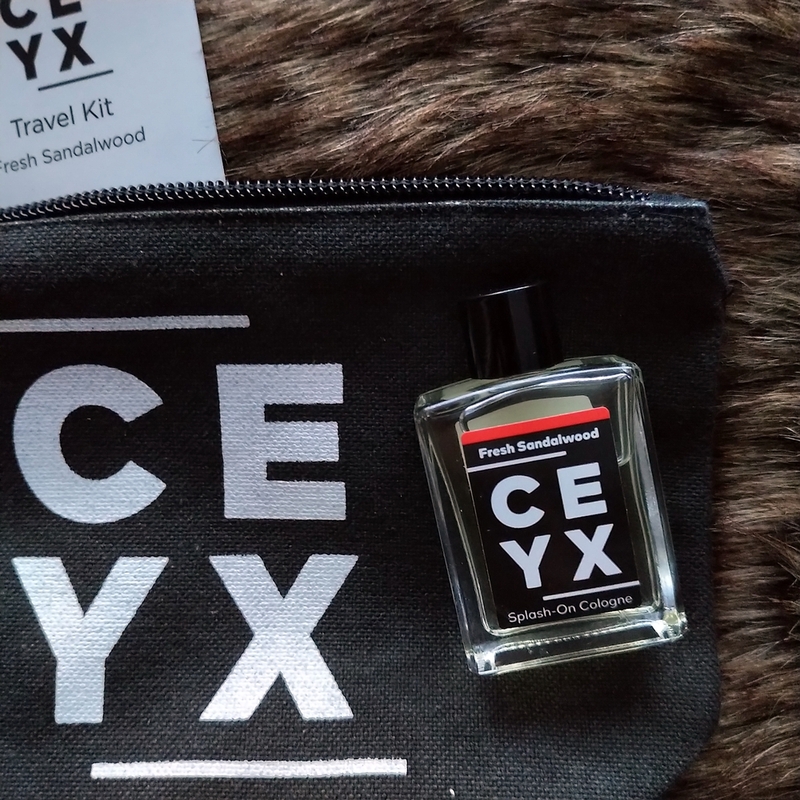 The Ceyx travel kit offers a luxury grooming regime for any destination traveller, but also makes a great gift for any stylish gentleman. 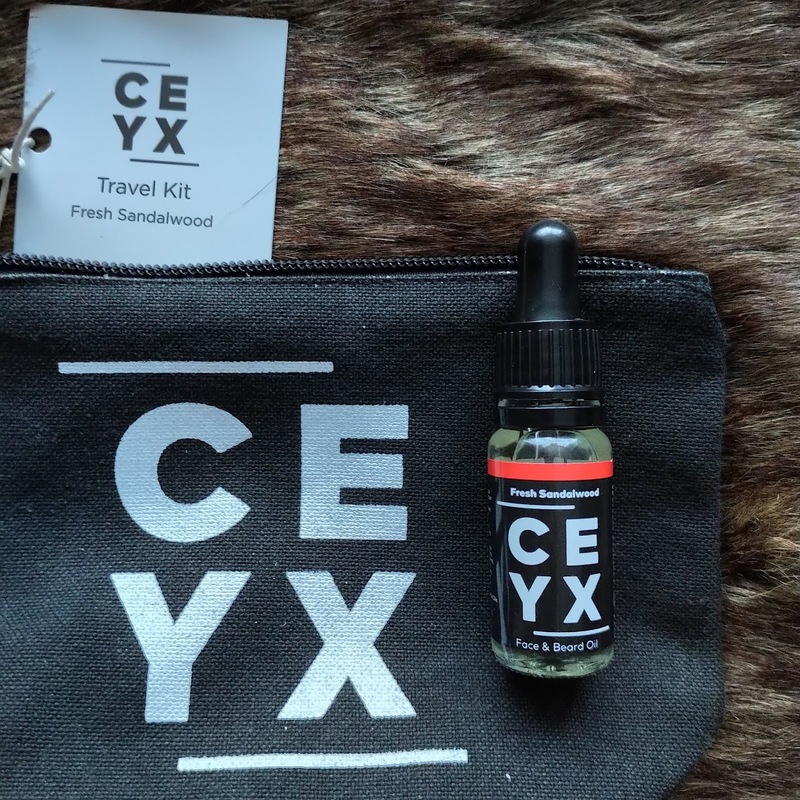 The size of the products are also a welcomed introduction to Ceyx as a brand and give you the chance to try out the products before purchasing the full sized additions available. Find out more about the mens grooming kit filled with the essentials, available to purchase from LoveLula. X Neil.